Allowing you to perform at the highest level, train better in these Nike Flex Training Shorts in Thunder Blue and Black. 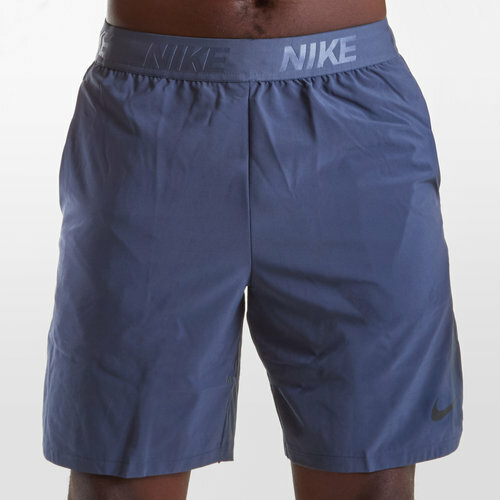 These training shorts from Nike have been made from 90% polyester and 10% elastane. Designed with Nike's Dri-Fit fabric which wicks sweat and moisture away from the wearer's skin for quick evaporation and a high level of comfort. With an elastic waistline secured in place by drawstrings, two side pockets meaning these shorts are the perfect training companion. In a sleek thunder blue and black design, strategically placed ventilation panels allow you to keep going, even when the action heats up.